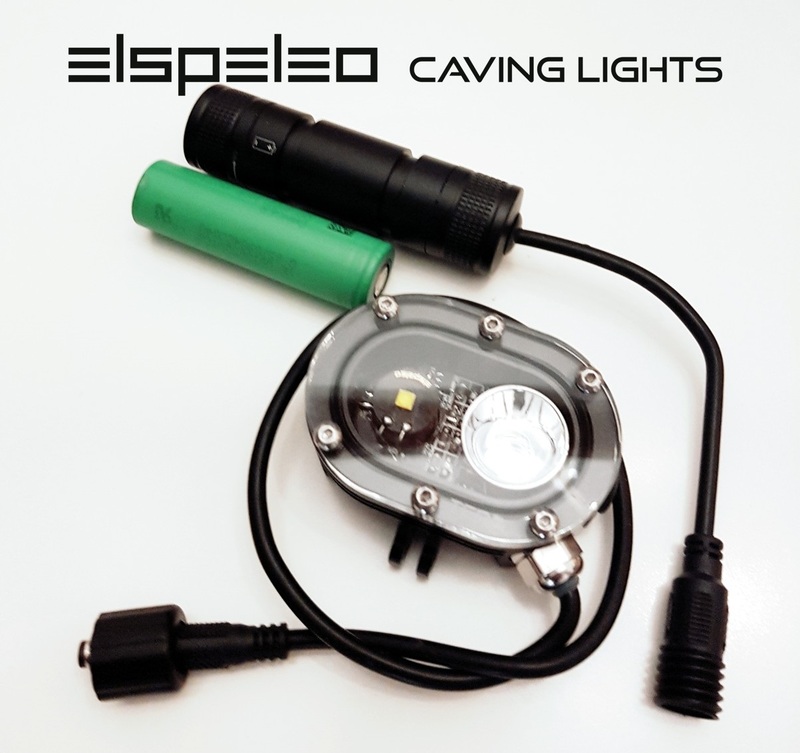 We are proud, elspeleo is the first choice of caving for speleologists in recent years. 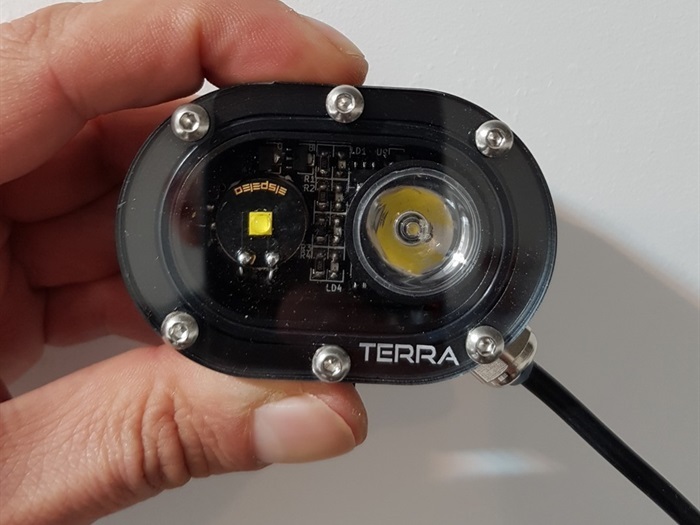 very easy to wear on helmets, strong, reliable, excellent battery life, NO sound while working (as a much more expensive lamp) or magnetic field disruption. Easy to use anywhere. 800 lumens on flood 800 lumens on spot, together almost 1600 lumens. 35 programs settings. Operating with two momentary switch (long press on-off, short tap to change mode) in circle. 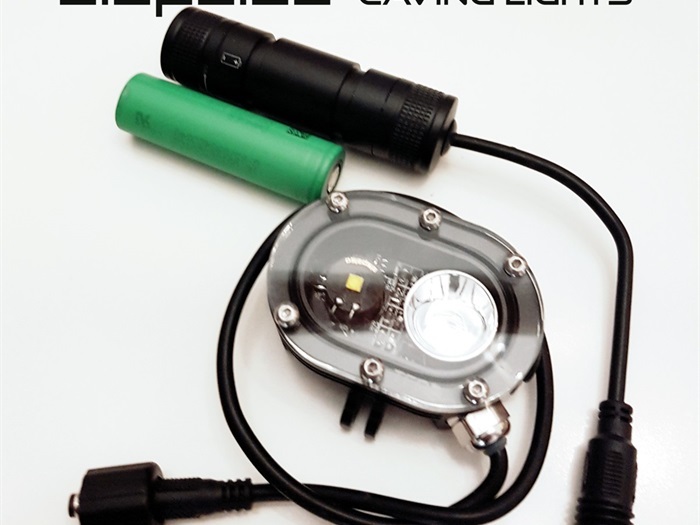 This is caving lamp and does not produce any magnet field as some 'caving' lamp. 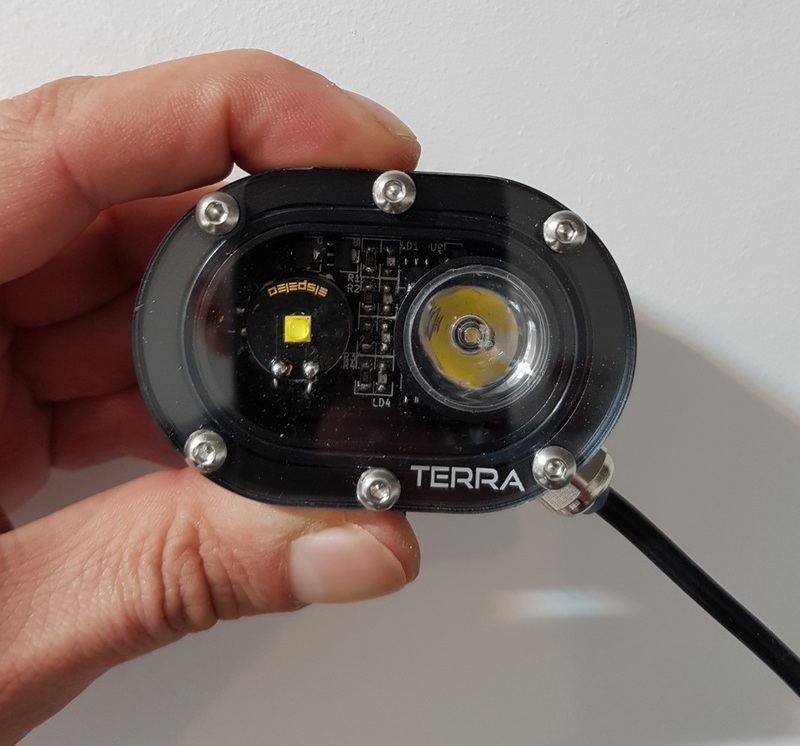 The lamp spot uses two optic: 10+60 degree optic for all outdoor activity. Body is CNC machined for optimal heat reduction, sandblasted, anodised black, laser engraved logo on back. The battery shell is made from aircraft aluminum,strong for the cave environment. The battery shell is fully sealed with an O-ring fitted to the lid. The battery duration on this lamp is 2 hours on its highest setting to over 100 hours on its lowest with best cells.